It came up during a documentary on the jumbo jet. 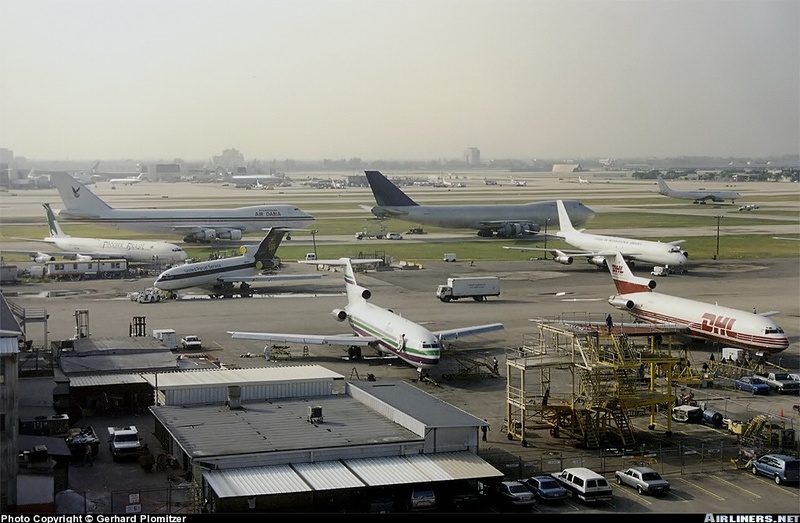 While reviewing the handful of 747 accidents caused by airframe failings, the narrator mentioned that the United Airlines 747-122 – which had lost its cargo door out of Honolulu on February 24th, 1989 – was repaired and returned to service. That’s not surprising in itself. Alarming as the post-accident images appear, the actual damage to the airplane wasn’t that severe. The fact that Capt. David Cronin and his crew could bring the flight to a successful landing is testimony to the airframe’s fundamental integrity, as well as their teamwork and skill. Nope, I was just curious about what became of United Airlines’ N4713U after the media intensity surrounding that fateful night. Was it was still flying? At the very least, I thought I’d find a story that got more and more “interesting” as the airliner aged. . . And I wouldn’t be disappointed. But first, let’s back-track a little. United Airlines Flight 811 departed Honolulu for Auckland, New Zealand just before 2 in the morning on February 24th, 1989. As it climbed through 22,000 feet the forward cargo door opened into the airstream and was torn off with a large piece of the aircraft skin immediately above. This caused floor damage in the main cabin where the door’s hinge beam was torn away, accompanied by an explosive decompression. Almost instantly, nine Business Class passengers were either torn or blown out of the airplane, eight of them still strapped in their seats. Debris damaged the right wing, flaps, and horizontal stabiliser; the vertical stabiliser; and both right-side engines. The fact that debris entered the No.4 engine shows just how forcible the explosive decompression had been. 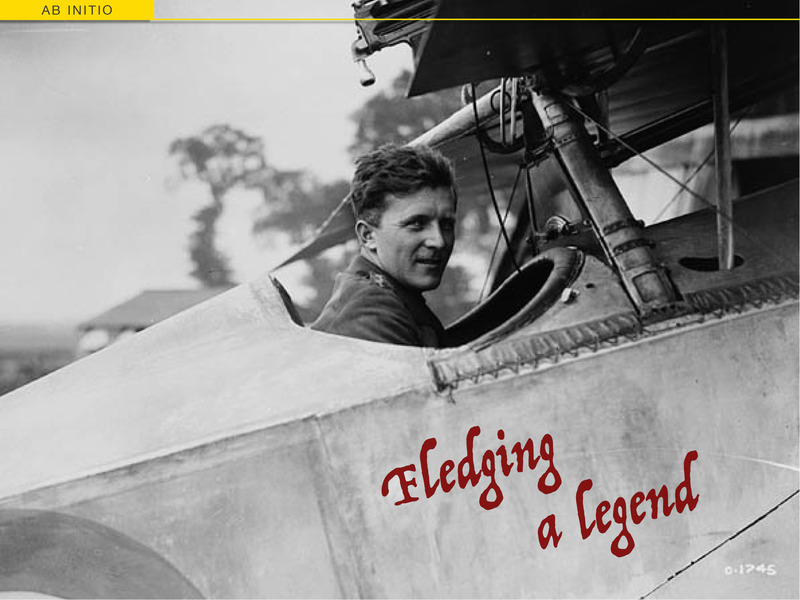 Captain Cronin initiated an emergency descent while turning the plane back toward Hawaii on its two left-hand engines. Fourteen minutes later he made a successful landing despite the damaged flaps, and the aircraft was evacuated. In repeated simulator tests after the event, United check pilots were unable repeat Cronin’s feat. The resulting investigation found that the cargo door latch pins showed signs of wear indicating the door had been ‘out of rig’ or not properly aligned for some time. There was also a history of problems with the forward and rear cargo doors on the airplane, including repeated latching, sealing and lock indication issues from December 1988 up until the in-flight failure. The final report implicated United, Boeing and the FAA for not pursuing upgrades to the cargo door locking mechanism more vigorously, after a run of similar incidents, near incidents and fatal accidents involving wide-body jets over preceding years. Controversially, the report also suggested that ground staff had improperly latched and/or check ed the door before departure – a finding that was overturned after further investigation and recovery of door sections from the ocean floor almost a year later. Whether the cause was mechanical, electrical, human or cumulative may never fully be known. But by the time of the Honolulu incident she was 18½ years old and had accumulated 58,815 hours over 15, 028 flight cycles. In that time, there hadn’t been any significant incidents or damage – although there was a fairly typical history of age-related corrosion, fatigue cracks, and the engine troubles that plagued all early 747s. After the Flight 811 incident, United made the decision to repair the aircraft and return it to service. Although the damage certainly looked shocking, it was far from substantial. 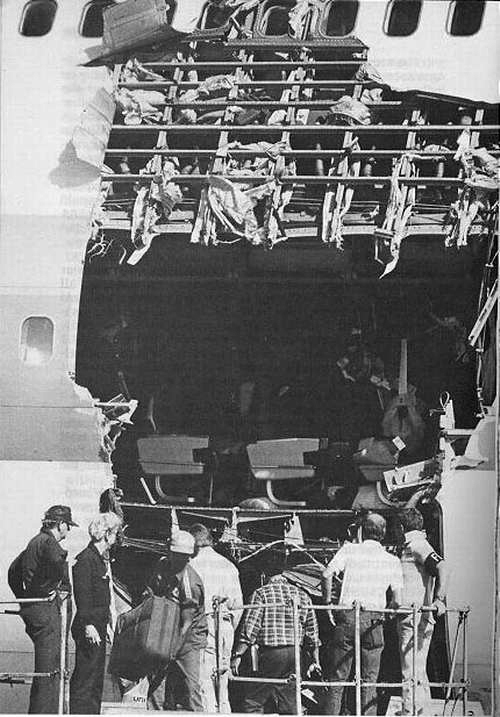 Apart from the main beam that the cargo door had been hinged to, none of the affected metal was structural. Flying surface leading edges, fuselage hoops, floor beams, stringers and skin could all be spliced in or replaced. On 1 September 1989, United secured the new registration N4724U for #19875, although a Service Difficulty Report was filed for N4713U on September 15th, indicating the aircraft was still wearing her old registration while at United’s San Francisco maintenance base mid-month. Regardless, the old girl went back to work for United on October 3rd, 1989 and continued on without any serious problems. Although that’s not to say her second life was trouble free. On the April 2nd, 1990 the No.4 engine had to be shut down 90 minutes out of Narita, Japan, due to a failed fuel pump, and the airplane crossed the Pacific on her three remaining JT9Ds. And on October 22nd, 1990 the aircraft left tyre tread on the runway at LAX after departing for Narita, and had to land in Japan under an amber alert. Another amber alert followed at London Heathrow on June 16th, 1991, due to a No.3 hydraulic system failure; and on July 7th, 1991 the aircraft had to dump fuel and return to Honolulu after the No.4 engine overheated during climb, refused to idle, and had to be shut down by pulling the fire handle. The left main gear failed to deploy, then deployed but wouldn’t lock, on approach to San Francisco on September 1st, 1991; engines failed for various reasons every year or so; and the No.2 left leading edge flap failed to retract during climb on December 17th, 1996, for no detectable reason. Worse than all those systems failures though, the aircraft was now demonstrably past her prime and the cracks were starting to show. Literally. Scheduled inspections would turn up the usual fatigue cracking and corrosion of various parts – because that’s what scheduled inspections are for. 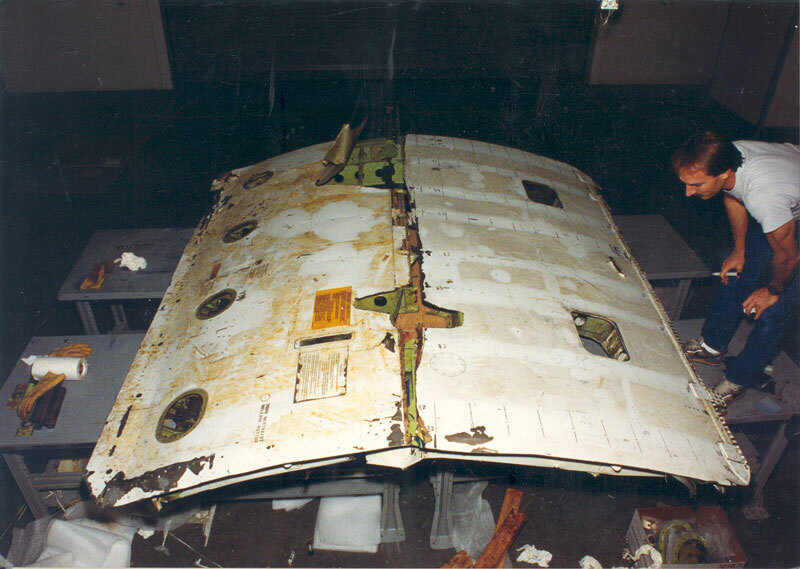 Next, the right wing’s inboard trailing edge panel came loose and separated during takeoff on June 24th, 1994. The aircraft had to return to the airport and have the panel, the fore-flap and a damaged trailing edge mid-panel replaced before it could return to the air. A fortnight later, on July 5th, the outer trailing edge flap of the same wing stuck at 7º during climb out, and N4724U had to make another return to the airport for repairs. Finally, the plane was in mid-flight on June 15th, 1996 when a large crack was noticed on the main upper skin panel of the left wing. By the time the flight ended, the panel was cracked and delaminated right across it’s span-wise width. By now approaching 83,000 hours in the air, #19875 was at the end of her profitable service with United. On January 9th, 1997 she was flown to Las Vegas and parked in storage. 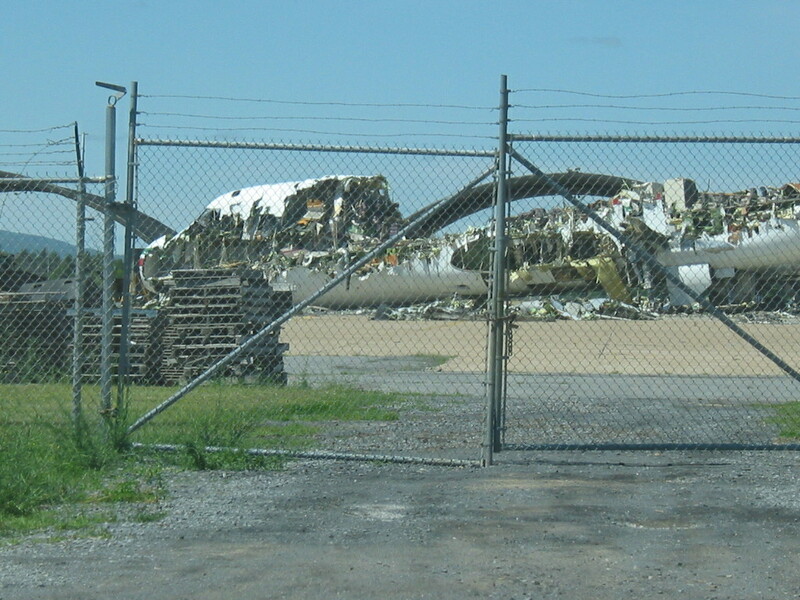 Normally when an old jet goes into the boneyard, it comes out in pieces. 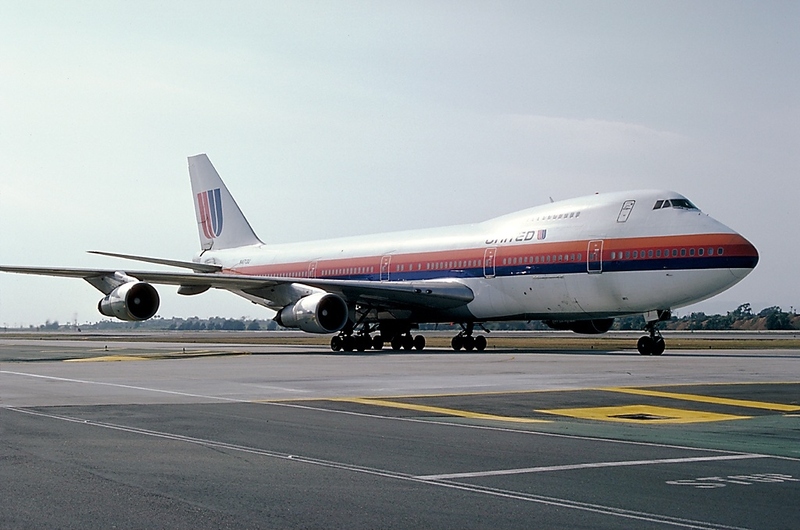 #19875 had a far more promising turnaround – United sold her to the fledgling Air Dabia on March 18th, 1997. Air Dabia was a short lived airline based in The Islamic Republic of Gambia, a sovereign sliver of Western Africa that lies along both banks of the Gambia River and is virtually surrounded by Senegal. It’s national identity goes back to the days when the river was a portal for European slave traders. The airline’s owner was multi-millionaire Foutanga Dit Babani Sissoko, a Gambian national with an uncertain past. He was apparently born in the Saharan nation of Mali, in a village called Dabia, sometime around 1945. That story at least fits with the name he chose for his airline. But the source of his vast fortune was a mystery. Rumours ranged from textile trading in India to finding hugely valuable diamonds in the spoil heaps of Liberian mines. More likely, he’d trafficked arms to various African governments. He was allegedly a personal friend of Libya’s Muammar Gaddafi, and he certainly had close ties to the government of Senegal as well as The Gambian President Yahya Jammeh, who’d seized power in a 1994 military coup. Sissoko established Air Dabia as a charter operation, to ferry Gambia’s muslim faithful to and from the annual Hajj pilgrimage in Mecca. He’d already purchased a pair of old Boeing 727s during 1996, allegedly beating down the vendors price by $315,000 through the negotiating tactic of having Gambian authorities confiscate the delivery pilot’s passport and hold him under house arrest until a deal was struck. But by the time he took ownership of United’s retired N4724U and acquired the Gambian registration C5-FBS for it, Sissoko was in trouble himself. In July 1996 two of his operatives purchased a pair of Bell UH-1 “Huey”s from a Miami broker, and prepared them for shipment to Gambia. Because the de-fanged Hueys could easily be converted back into their original gunship configuration, US Customs required a special export license. The men tried to export the choppers anyway and were detained. They then tried to grease the rails by offering one of the agents special treatment at some of Sissoko’s casinos and resorts, and then a $30,000 cash bribe. Unless they were the world’s best-paid removalists, the cash had to have come from Sissoko. So at the end of August 1996 Sissoko was arrested by Interpol in Geneva, Switzerland, to face US federal charges of bribery and violating export regulations. He spent two months in a Swiss jail cell contemplating extradition then, in late October, agreed to front the US Federal Court in Miami. The case ran through to sentencing in March 1997 where, through a plea bargain, Sissoko was handed four months in jail (less time served in Switzerland) and four months’ house arrest in his rented Florida condo. Using his carefully groomed network of political contacts, he still managed to delay the jail time until November 1997. But to cut a long story short, Sissoko was very definitely based in Florida (at the Federal Court’s insistence) when he took delivery of his “new” jumbo that April. The aircraft was flown from Las Vegas to Miami and readied for its transfer to Banjul, the capital of Gambia. There, US cabin crew, who’d joined the new airline on the promise of generous pay rates (which they would never see) watched in amazement as the jet’s main cabin was stuffed with boxes and containers, before a handful of Sissoko’s coterie took their seats for the trans-Atlantic hop. The old 747 duly departed but, over an hour out of Banjul, a 10m panel separated from the upper surface of the starboard wing and collided with the horizontal stabiliser before falling away. The honeycomb interior of the wing’s skin was left exposed until C5-FBS landed in Gambia. There, when the flight attendant learned that Air Dabia planned to repair the wing with speed tape, she decided to quit. Two other Air Dabia pilots quit with her. It would take the trio a week to get out of Gambia, using consular assistance and tickets they had to buy for themselves. Several other Air Dabia employees would need consular assistance to get out of Africa after quitting, and would suffer local police and military harassment before they could escape. None would get the wages they’d been promised. There’s a rumour that one Air Dabia flight crew became so frustrated with not being paid that they took $100,000 they’d been provided for fuel and repairs, abandoned their 727, and walked away. 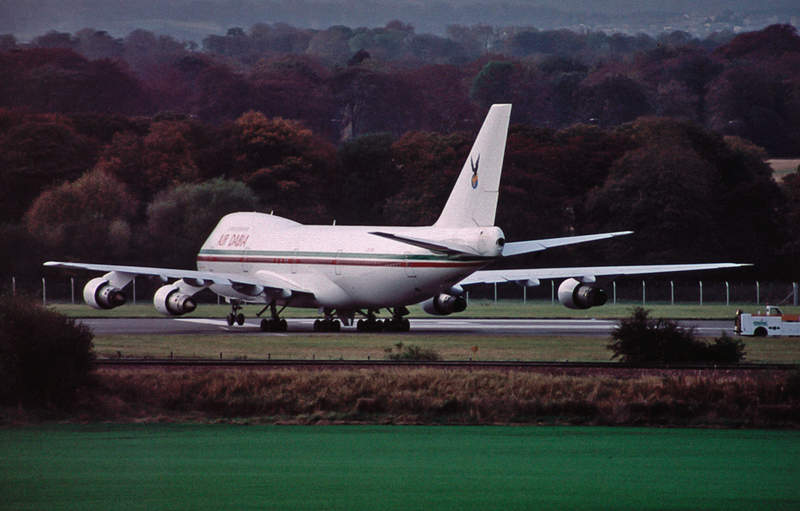 Our 747 meanwhile, began her new life carrying Hajj pilgrims to and from Mecca – with no rest for her cabin crew. 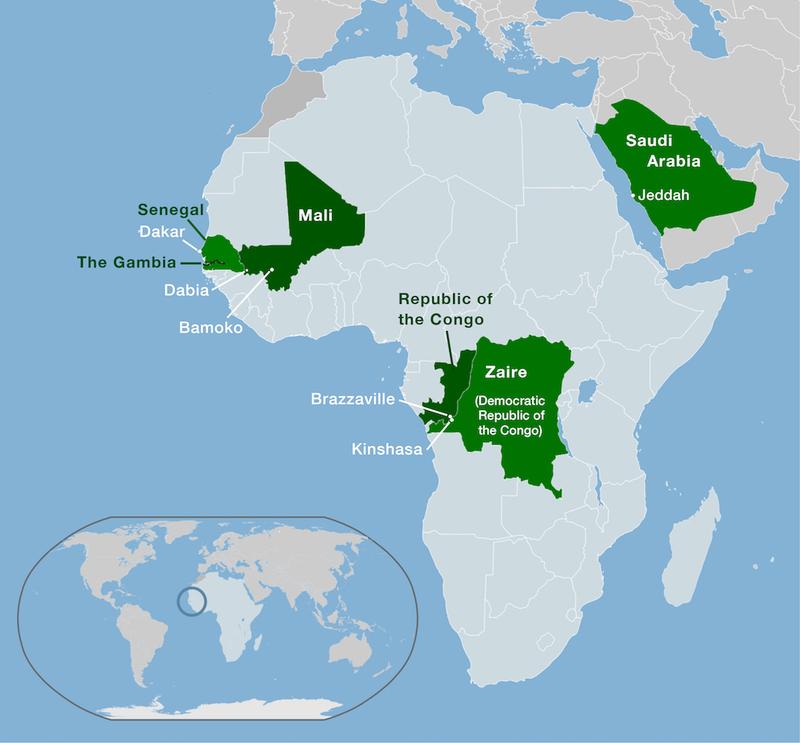 They flew directly from Banjul to Bamoko in Mali, and then back and forth between Bamoko and Jeddah in Saudi Arabia for three solid days. The flight attendants never got off the plane, snatching sleep in spare seats or on the galley floor, and the plane never received any maintenance. After 72 hours they were given an 8-hour break, then re-boarded #19875 for a flight to Brazzaville in Congo to pick up Mali nationals fleeing the civil war in neighbouring Zaire (now Democratic Republic of Congo). The crew were told the Government of Congo would kill the Mailnese if they weren’t rescued. So despite the promises of only carrying Hajj pilgrims, and despite landing in a raging storm that still didn’t drown out the sound of nearby gunfire, they loaded 800 passengers onto the 400 seat jumbo and took off. Once again, Boeing’s robust engineering carried #19875 through. Later the same crew would work a solid 6-day stretch carrying Hajj pilgrims, and were only saved from another trip to Brazzaville on May 19th, 1997, when engine problems grounded C5-FBS in Dakar, Senegal. More crew decided to quit. They too would face harassment from Air Dabia staff and Gambian police before US consular staff helped them begin their journey home, still unpaid. Exactly what happened to #19875 next is a little hazy. Presumably she continued to fly Hajj pilgrims between Western Africa and Mecca, along with whatever errands Sissoko’s high-level friends requested, for the next few months. She turned up at Edinburgh Turnhouse Airport in the UK in late October 1997, for the Commonwealth Heads of Government Meeting (CHOGM) in Scotland’s capital – providing a grandiose if somewhat tatty entrance for the representatives of Africa’s smallest nation. By November 1997, however, the 28-year-old airplane was back in the USA, and was listed as stored at Opa-Locka airport, just north of Miami, in February 1998. Worse, in January of 1998 a complaint was filed by the Dubai Islamic Bank alleging Sissoko had bought his jumbo with funds that were stolen from the bank using black magic. As a result of that action, C5-FBS was repossessed in February of 2000. Meanwhile, Sissoko had been allowed to leave the US after only one of his four months of house arrest, and was living in mansion in Mali – fighting extradition to Dubai, with all his international assets frozen. At some point, presumably shortly after the seizure, #19875 was flown by her court-appointed owners to Plattsburgh International Airport (formerly Plattsburgh AFB) in the far northeast of New York state for an overhaul. But by now, her luck had well and truly run out. The company that had managed her recovery went out of business and all maintenance work ceased after her number 4 engine had been removed. Later, the maintenance company pulled out of the airport and left her behind. 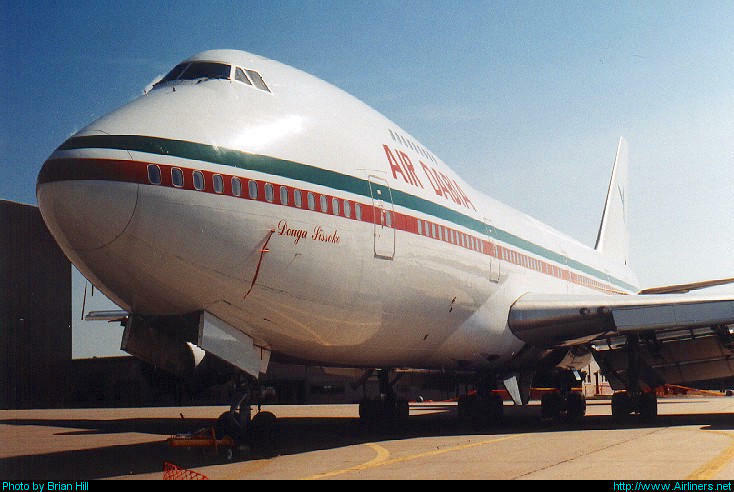 So by the end of 2001 the venerable first generation jumbo had progressed from ‘orphaned’ to ‘abandoned’ and she was left on the Plattsburgh ramp to await her fate. That fate would amount to little more than establishing sufficient ownership for her to be sold as scrap. It took over a year for the legal niceties to be completed, but in June 2003 the axe finally fell. Boeing msn 19875/89 – United’s shiny new ‘Friend Ship’ jumbo N4713U of 1970; the 747-122 that survived an explosive decompression out of Honolulu in 1989 and carried most of her complement back to earth on two remaining engines; N4724U, which rose from the accident to carry thousands more passengers around the world; and C5-FBS that became a tool for one man’s plutocratic exploitation and neglect – was torn apart where it stood at Plattsburgh International Airport, NY. The epitaph. Can you tell? So what became of United Airlines’ N4713U? Well, scattered to the trade winds is the short answer – a diaspora of reconditioned parts and recycled aluminium. I’d be intrigued to hear the long answer though, if anyone can tell me more details. I’m sure there are parts of the airplane in service even today; and others that are in a warehouse somewhere, still waiting for their second, third – or is it fourth? – life. As well as to all the good people who built, flew, crewed and maintained B747-122 msn 18975 through her long career with United Airlines and Air Dabia. You know who you are. You’re awesome. This article now has a sequel. Well, a prequel. Check out Requiem For An Airliner (1) for a flight aboard N4713U when she was brand new; plus Requiem For An Airliner (2) to learn about her post-accident repair at Honolulu. Riveting post (no pun intended)! The abuse these airplanes take is almost inconceivable — and that’s with an airline which provides the proper maintenance. Without appropriate TLC, they turn on you pretty quickly. It strikes me that jumbos built in the early 70s flew for a quarter of a century. The ones today seem to last only a few years before they’re parked in favor of a more fuel efficient model. There’s no shortage of late model 744s out there, baking away in Mojave, Pinal, Victorville, and elsewhere. I’ll tell you what, reading through the SDRs, those early 747s were falling apart from the day they came off the line! No disrespect to Boeing’s engineering, of course; they were advancing the technology on best available knowledge. But issues like the cargo door latching (which was specifically a wide-body problem) and engine mount cracking caused a number of accidents, some with appalling loss of life. Add the ongoing engine flameouts and general fatigue cracking, and those birds really did need constant care and feeding. As a quick example, msn 20083/153 (as N93119, TWA Flight 800) erupted off Long Island due to ageing issues in 1996, while msn 19754/80 was still hauling freight out of LAX (as Kalita Air N712CK) in 2011. And then, while I fully appreciate the business realities, that photo of it looking like a beached and stripped whale carcass is truly morose. I flew 712 CK originally at PAA then Polar Air before Kalttia Air if l recall it went in service in 1970 it’s last flight was December 2008. Hi Robert. Your aircraft was delivered on August 4th, 1970 – but to United Airlines as N4704U. Line number 60 (msn 19754), she then became Clipper Belle of the Sea in December 1985 before conversion a freighter for Polar Air in August ’94 – with a new tail number N854FT. Kalitta got her in September 02,and flew her as N712CK until she went into storage. The old girl was broken up in April 2013 at Oscoda, Michigan. I hope your memories of her are all happy ones! Thanks again! Another fun read. Thank you for the read. During my years of flying, it’s. possible that I flew on this Airplane. I remember when this airplane had difficulties out of Honolulu. You’re most welcome. By all accounts she was ‘good as new’ when the repair work was finished. I have an interview with one of the repair crew, which I am writing up to publish in the next few weeks. Thanks for the info l recall PAA bought the A/C from UAL to have a additional Craft A/C with cargo doors. Strange flying the A/C with three airlines and in addition l watched it depart MEM December 2008 for OSC and to be used as. Organ donor .l retried from Kalitta Air 12/2008 myself. The old girl still flew as well as it did when l first flew it at PAA loved that plane never let me down. This article reminds of flights with large passenger overloads in emergencies, it’s not unique. Witness World Airways 727 in Viet Nam at the end of the war, with some 300 onboard. Another little know example took place in the Middle East in 1949. A friend, here in Reno, is a retired Flying Tiger Line 747 Captain, Elgen Long. He has written a book about 9 flights he made as a navigator, from RAF Aden to Tel Aviv in 1949 in an Alaska Airlines DC-4 with 100 passengers on board. 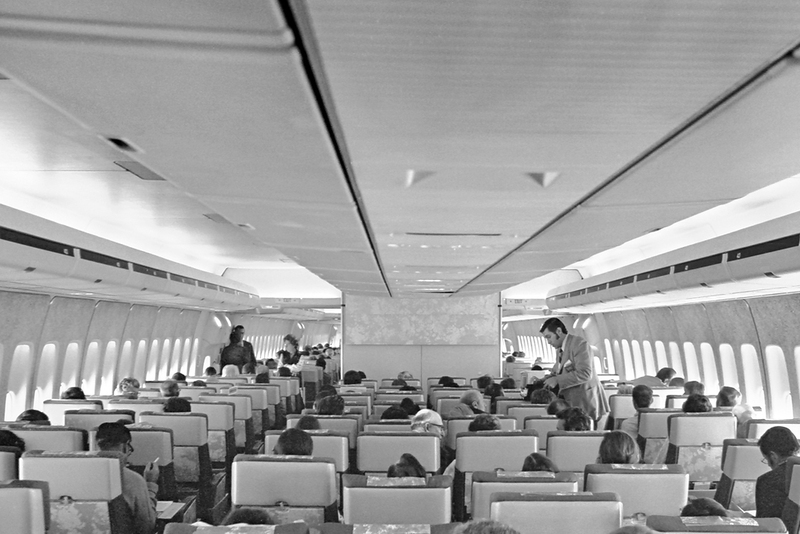 All the seats were removed, which saved some weight, plus the passengers had almost no luggage and were of small stature. They were nomadic bedouin jews who’s tribe had lived in the deserts of Yemen for a 1000 years. They were fleeing Arab persecution during the 1st Israeli/Arab war. It’s a fascinating book with a lot of aviation details. All the flights were entirely over the Red Sea, except for the last few miles from Aqaba to Tel Aviv. Eventually, many thousands of these refugees were ferried to Israel and today their decedents number over 300,000, and include some very senior members of Israeli society. As a result of these flights the FAA pulled Alaska’s operating certificate for some time. Thanks John. These ’emergency overload’ stories seem to have been a part of aviation almost since the airplane first went went to war. Certainly since airlift became a practical science. There were also numerous evacuations in the early days of WW2, with various tales of overloaded B-24s and C-47s in particular. Elgen Long’s book certainly sounds fascinating, and I hope people who read your comment will be inspired to order a copy. I’d also be interested in sharing an excerpt as a post on airscape, if Captain Long is up for it. I’ll follow up with you directly. I was working in the Training Center of United Airlines when the cargo door blew out on Flight 811. The scuttlebutt among the instructors was that the situation Capt. Cronin handled was as difficult to address, if not more difficult, than the one Capt. Haynes faced five months later in Sioux City, Iowa. The UAL Maintenance engineers concluded that the nose of the aircraft was close to breaking off the fuselage and the crew reached Honolulu in time. The Vice President of Operation, James Guyette, made the call to repair the airframe. He said the cost to repair was more than anticipated and scraping the airframe might have been the better decision. The airframe from the forward cargo door to the nose was replaced with a retired Air India 747. During my final years with United I flew N-2413U (N-4724U) several times. The “old bird” was good to me and I didn’t notice anything that different from the other B-747-122s on the line at the time. It’s always a pleasure to be corrected by someone with first-hand knowledge of an event, and I had no idea just how much of the original bird was replaced. It must have been a massive undertaking. It’s good to hear that she flew true once returned to service, and perhaps I could have been a little clearer that her ongoing squawks weren’t really ever anything out of the ordinary for an ageing first-generation jumbo. Flew her at United after repair and she was magnificent. Good story. Thanks Keith. While I’m sure they were far from routine at the time, the aircraft’s subsequent squawks all seem to have been “fair wear and tear” for the type – certainly no reflection against United’s repair works. I believe the captain out of honolulu was Scotty Devine. Do you mean after the incident? There’s a big hole in my story, between when Capt. Cronin landed back at HNL and when the aircraft appeared in the United shop at SFO. I’d love to know what happened there – I suspect it’s a whole story in its own right. It was concluded that an electrical fault had caused the hook shaft drive motor to rotate toward the unlock position. A new procedure bulletin came out on a weekend while I was in 747 Capt school at DENTK. It required that after the doors were shut, CBs for those motors in the below deck electrical bay be pulled by maintenance. I made a copy of it. Monday morning, just before push back in the SIM, I queried ” Cargo doors CB’s pulled?” After asking twice, the IP tapped me on the shoulder, “What the h— are you talking about”!!? I handed back to him a copy of the bulletin. He was a great instructor, but I got a little private kick out of catching him not up to date. It was only pure luck that I saw the bulletin so soon after it came out. I also flew this old girl several times, not knowing any difference, until a S/O happened to mention who she was. Thanks for sharing. There seems to be universal approval of the work done by United SFO repair crews. A large job, very well done. Thank you very much David. I am pleased you enjoyed this history! I remember every detail of this flight like it was yesterday. I will be in touch at my earliest on how I can share the photos and log book copy. Might be later this evening as I have an original painting to get finished before the end of the daylight here in the studio. There was a lot written in the press when we built the new studio and a Google type search of Rick Broome Boeing 727 Studio will bring up a number of different stories. The sad thing was the idiot neighbors who thought we were going to build a studio inside a trashed out junk airliner. Every Boeing pilot who has seen our display is amazed at how clean and almost brand new everything is. No doubt to have taken a worn out 727-200 series and brought it up to the condition of our display piece would have cost several million dollars. Also I have another story about working on United Boeing 727-022QC N7434U on 17 January 1969, when I was a flight line A&P at LAXMM. This I will share soon too. Tragic; really tragic …. I was part of the UAL ALPA accident investigating team for the cargo door blow off. An interesting part of the story was related to how the door locks had backed off to the point to allow the door to blow off. As mentioned the ground crew was considered part of that. Much later a maintenance crew at JFK was in the cargo compartment when the door opened but they could find no one who had operated the door controls. After the door was closed again one of them again leaned against the wire bundle to the door operating mechanism and the door again opened. When the wire bundle was removed frayed wires were found. When we inspected the the cargo recovered door sure enough there were frayed wires. NTSB backed off their consideration that the ground crew was part of the cause. Thanks for the extra insights, Robert. I remember the NTSB’s change of focus from the time, and I think everyone was kind of pleased and relieved to see the ground crew exonerated. In June 1989 I was transferred from Okinawa to Hickam AFB, HI. This aircraft was sitting on the ramp when I arrived, and sat there for several months it seemed. Then one day it was gone! I wondered what happened to it and am pleased to have had the opportunity to read “The Rest Of The Story” of what happened to it over later years. Thanks for that opportunity. My pleasure, Donald. And thank you for stopping by. Actually, you raise a fascinating point – can anyone fill in the details of how the airliner got from Hawaii to SFO??? VNE=VMO ( at 16500′) = 365Kts. So you were flying at Barbers pole + 45 Kts ??? I was hoping your article would reach some of the maintenance personnel who accomplished the extraordinary task of repairing N-7413 on the ramp at PHNL. They didn’t miss anything, not a rivet, cable, or wire. They were great. I hope it does too. And I hope they get in touch. As you say, there’s a great story there that deserves to be told. Great news! I spent a very enjoyable hour today chatting with Robert Butler, who was part of the UAL team that repaired N4713U at Hickam. I’ll be able to publish his side of the story as a follow-up post soon. Sissoko also had a beautiful ex-Continental 727 5V-TPA , bought in Las Vegas…. the two additional he bought in 1996 were worn out, an ex-TWA (backwards switches) 5V-TPB, and particularly the ex-Northwest/ex-Dominicana piece of junk 5V-TPC… Other captains advised that it should be used only for parts and that he’d been WAY overcharged, so he detained the slimy Smyrna used plane-lot dealer until getting a refund of part of it. I’ll bet she had a lot of baling wire and duct tape holding her together. I’ve got a few hours in these old gals and believe me, they all need a lot of help to keep airborne. The third tier airlines don’t put a lot of emphasis on preventative maintenance. It’s more “Fly the wings off of them and then see if we can sell them to the bigger fool”. I’m pleased to add that I have now published the ‘untold story’ of N4713U’s six-month repair at Hickam AFB, before she was returned to SFO and then revenue service. Ha! What a great movie that would be! The plot certainly has plenty of outrageous twists… We might be struggling to identify a hero though.